By harrisonca on November 5th, 2011 . 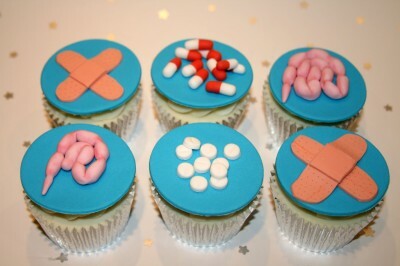 Filed under: Bakeries, Cupcake Ideas . Amanda from The Clever Little Cupcake Company, a custom cake and cupcake bakery in Lanconshire county of northwest England, is responsible for these brilliant creations for her own father. These are for my Dad as a token good luck as he is having an operation on his bowels on Monday. He won’t be able to eat things like this for a while, so I thought the bowel cupcakes might cheer him up (or he might hit me!! ).